In many believe that Greek breakfast is nonexistent. In many cities, where modern life rhythms have prevailed, it is, in fact, usual for people to have just a coffee and (maybe) a koulouri. However, Greece has a rich tradition when it comes to breakfasts. 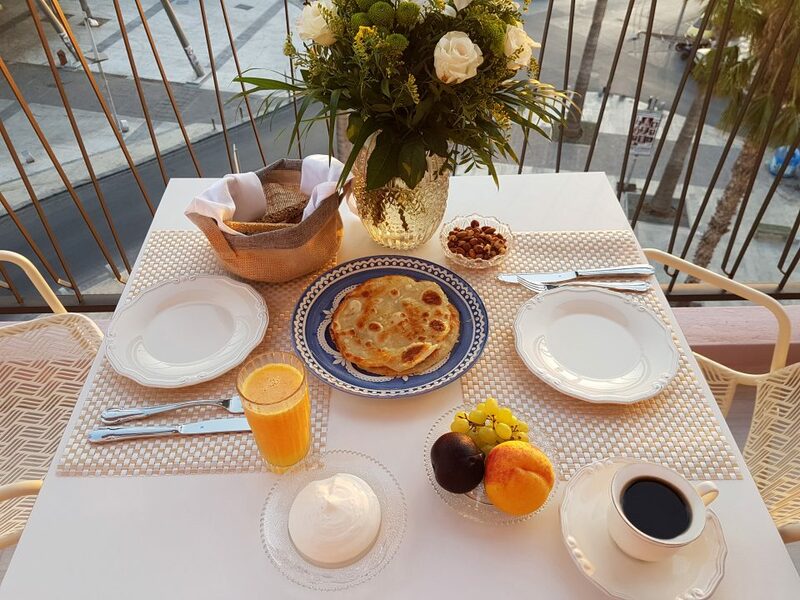 Unfortunately, only a few hotels serve different versions of the Traditional Greek Breakfast, this without falling into the temptation of the safer Continental version of the first meal of the day. Greek Koulouri. (photo courtesy Gabi Ancarola). Long ago, when life was mostly rural, breakfast used to include large quantities of animal fat. This provided the needed energy for the day’s labors. 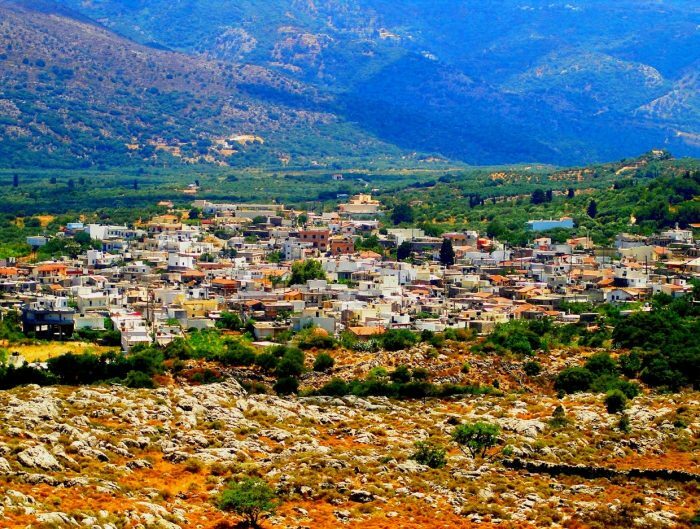 In many villages around Crete, for instance, it was easy to see servings of eggs with staka (similar to a clotted cream), rich pies and soups. Breakfast on the balcony of Legacy Gastro Suites (Read more). Local Greek breakfast shall, first of all, use local, fresh products. From a nutritional point of view, it will be mostly rich in starch and proteins. According to traditional eating habits, a hearty breakfast would get workers through a day of hard work in the fields. Today, this reflects in generous servings that also work well as a brunch. A small meal that can keep you full almost till it’s dinner time. Olives and paximadia (rusks), Graviera cheese and the well-known Greek yogurt with local thyme honey are classics. Usually going with a cup of Greek coffee or herbal mountain teas. 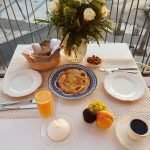 However, the traditional Greek breakfast does not end there, different pies, both sweet and savory, also make it to the morning table. Freshly baked products in general and pita pies, in particular, are also included in the traditional Greek breakfast. Greek pies have fans everywhere thanks to an endless choice of fillings. Simple to prepare (almost always in the oven, less often fried), Greek pies change in every corner of the country. Tradition normally wants seasonal vegetables as a filling, together with different cheese varieties. It possible to enjoy them filled with mushrooms, onions, feta cheese, and potatoes as well. Or even with even chicken, beef and ham. On the sweet side, pita pies also differ according to the season. Apple, cherries, oranges, and nuts, or even sweet milk or chocolate. 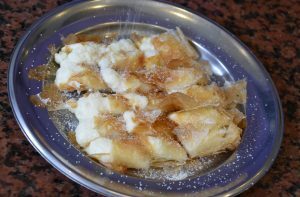 A special mention goes to bougatsa with delicious fillings and a crunchy dough that makes all the difference. Traditional Greek Breakfast: Yogurt, fruit, and honey. Rich in calcium and protein, Greek yogurt balances sumptuous taste and nutritious qualities. The dish offers plenty of health benefits which have gained international recognition. The rich texture and unique taste are mostly a consequence of the straining process. 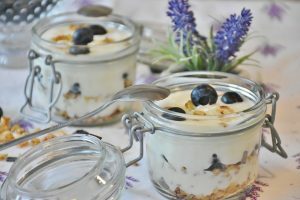 Topped up with fruit, either fresh or dried, but also nuts and honey, authentic Greek yogurt is one of the many dishes in a traditional Greek breakfast. Yet, it can also be a delicious standalone experience. 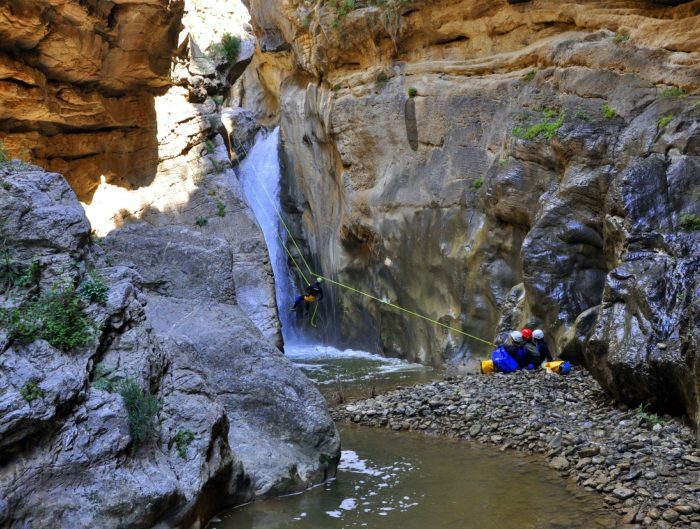 Unique local products with a rich nutritional value transform the Cretan diet into the key to a healthy way of life. On the island, there are plenty of ingredients that make a fantastic breakfast. From olives and honey to wild greens, herbs, unique cheeses, sausages, and cold cuts. Bougatsa, another traditionally baked treat (Photo courtesy Gabi Ancarola). 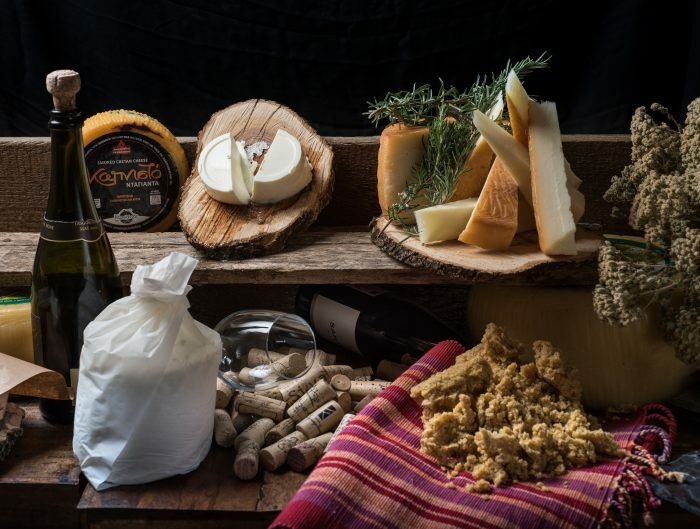 Some of the dishes to be found at the Cretan breakfast table are rusks, graviera cheese, myzithra cheese, and honey. As far as proteins, dishes include sygklino (salted and smoked pork), sausages, apaki (smoked pork), fried eggs with staka (butter-cream). Cretan pies usually have local cheese and wild greens. But there is also lyhnarakia (a small sweet pie with anthotyro cream cheese) and bougatsa (usually filled with custard on the island). Herbal teas and Greek coffee are also an important part of the Cretan breakfast tradition. And when sipped during a break looking at the Greek landscape from your hotel balcony, any day can start well.